Drinking and driving is bad...unless you're the car. Then it's a revolutionary new eco-friendly fuel idea. Celtic Renewables, an Edinburgh-based biofuel company, has recently been granted £1.2 million (including £800,000 from the British government) to build a facility where byproducts from the distillation of scotch will be turned into biobutanol, a form of fuel that can power automobiles that run on gas or diesel. The funding will also allow Celtic Renewables to further their scientific testing on the processes and possibilities of what they do. 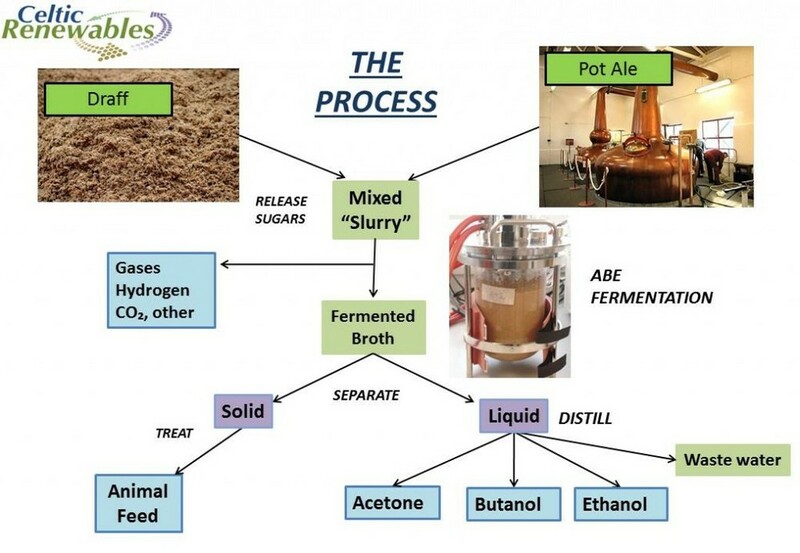 The biobutanol is derived from draff (sugary barley kernels soaked in water which act as a fermentation aid) as well as pot ale, the remaining yeast-filled liquid heated during the distillation process. Celtic Renewables will be working in conjunction with Belgium's BioBase Europe Pilot Plant (BBEPP) to achieve their biofuel goals. According to drinksbusiness.com, Professor Wim Soetaert, CEO of the BBEPP, said, “The transition from the current fossil-based economy towards a biobased economy is essential for industrial sustainability throughout Europe...Biobased production is already transforming a broad range of industries around the world and Celtic Renewables, making advanced biofuel and sustainable chemicals from whisky by-products, is exactly the kind of inspired innovation that our BBEPP is designed to support.” Celtic Renewables, the first company to deal in booze-based biofuel, will be working with BBEPP to replicate their results on an industrial scale. So drink up...it's helping to fuel the future, and not just your next terrible drunken phone message/love song.